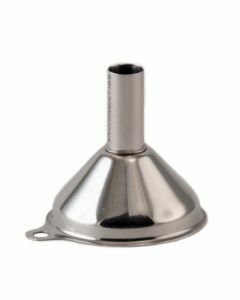 The RSVP Stainless Steel Funnel with Straining Filter works well for decanting wine or other liquids into jars or bottles with narrow openings. 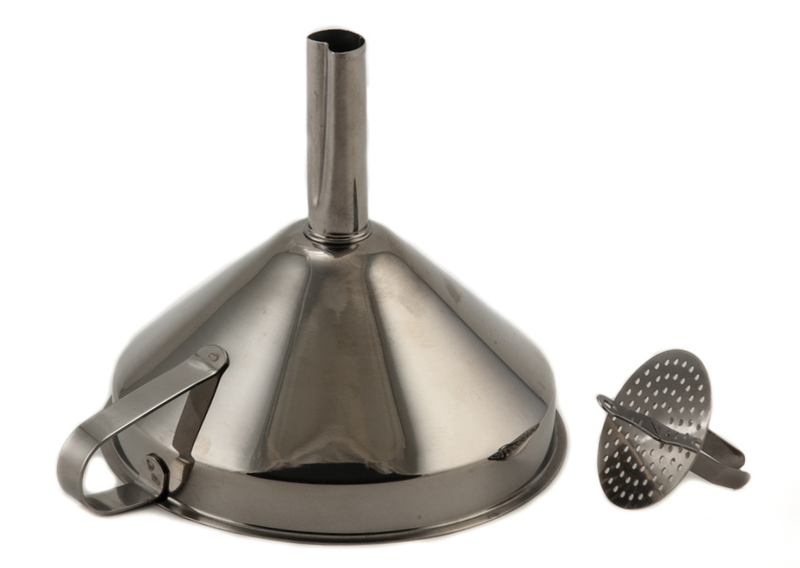 The removable straining filter is useful for fruit sauces, oil infusions, and for straining cooking oil. 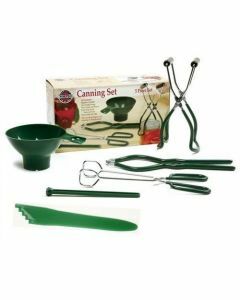 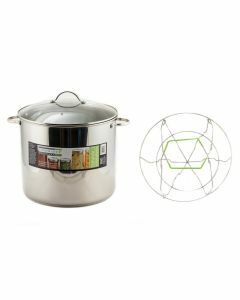 Its 18/8 stainless steel construction makes it durable and dishwasher safe. 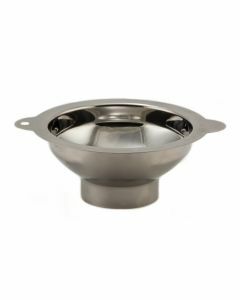 Top of the funnel : 4" diameter. 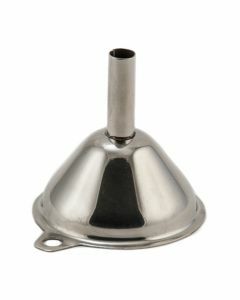 Neck of funnel : 2" long, 5/8" diameter. 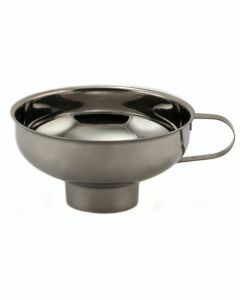 It fits well with many of our bottles - the neck will fit into our bottles with openings of 28mm or larger.